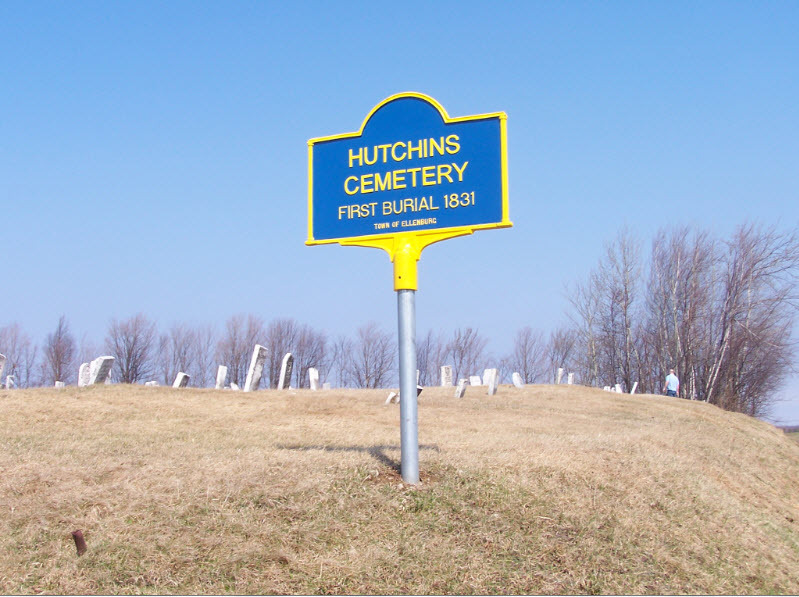 This cemetery transcription was begun by Hugh McLellan, Woody McLellan, and Walter Shinn August 26, 1939 and was finished May 31, 1947. McLellan wrote: "This cemetery--shown on the map of Ellenburgh in Beer's Atlas of Clinton County (1869)--is on the west side of the road running between lots 9 and 10 of Township 5 of the Old Military Tract, between the communities of Ellenburgh Corners and Ellenburgh Centre. In School District #1." "The cemetery is entirely neglected and overgrown, many stones broken and fallen." Catharine E. / Wife of / John F. SHUTTS / died / Dec. 29, 1845 / AE. 32 yrs. (NOTE: This stone is not listed in McLellan's work. It was sent to me by Adam SHUTTS.